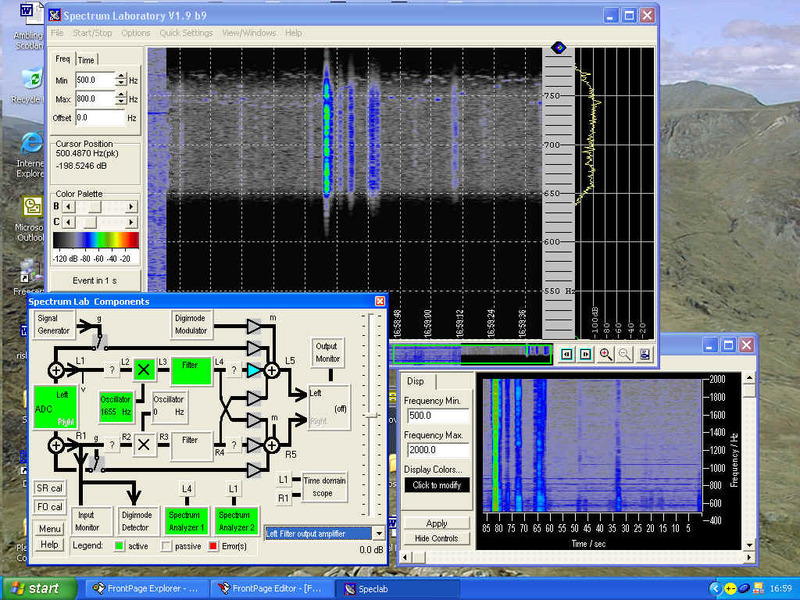 Spectrum Lab by DL4YHF is probably the most sophisticated FFT programme around. It can do pretty much anything you want. However, it may well be let down by the lack of stability in your radio equipment for very narrow-band work (milliHertz). Help is at hand though, and if your PC has the horsepower, you can correct drifting. The diagram above shows the scheme. A high stability reference signal is added to the incoming signal via an attenuator. For HF Doppler work the reference is set a few Hertz (maybe 5Hz) away from the wanted signal. These two signals are then fed into the RX. The audio output from the RX is detected by a spectrum analyser which has a,peak-following facility locked to a tracking generator which generates the frequency of the peak plus 700Hz. The output from this arrangement is then fed to a mixer where it is mixed with the original signal. After the mixer is a low-pass filter and a drift-free signal is measured by spectrum analyser 2. Simple! Now I don't have a shack full of test gear so how is this done? Well Spectrum Lab does everything to the right of the receiver. I dont intend explaining how to do this in detail - it is too complicated to do that but if you understand Spectrum Lab, here are my top tips. 1. 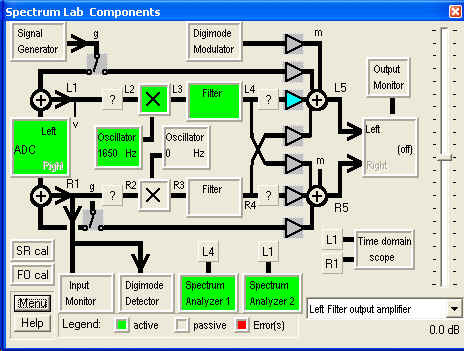 Use Spec Lab's second spectrum anlyser at the input. 2. 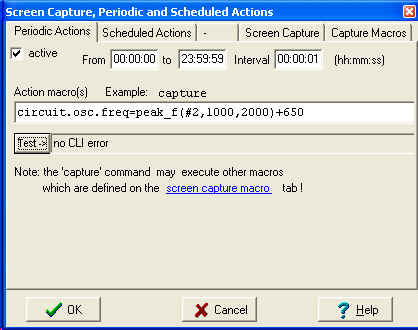 Implement the tracking oscillator using the period action facility set to 1 second. 4. All that splitter/attenuator stuff can be eliminated with a suitable signal source running in the shack on a small antenna! Sit back and enjoy drift-free signals. Now the small print. This system only updates the oscillator ever second so if you have a lot of drift you may still have problems. You need a powerful computer (does not work on my 450MHz laptop). It relies on you having a high stability signal source with 1Hz steps. Too complicated? 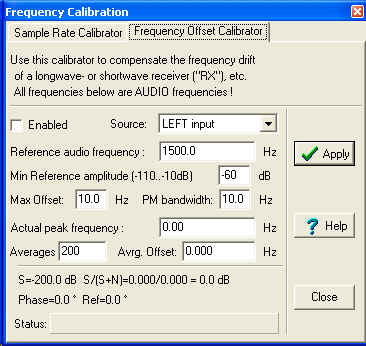 Wolf DL4YHF is implementing something easier that is based on the frequency calibration part of Spectrum Lab. This will be far easier to set up and much less processor intensive.